Washington, March 21: A Soyuz rocket carrying two NASA astronauts and a Russian cosmonaut is all set to blast off from the Baikonur cosmodrome in Kazakhstan to the International Space Station (ISS) on Wednesday. 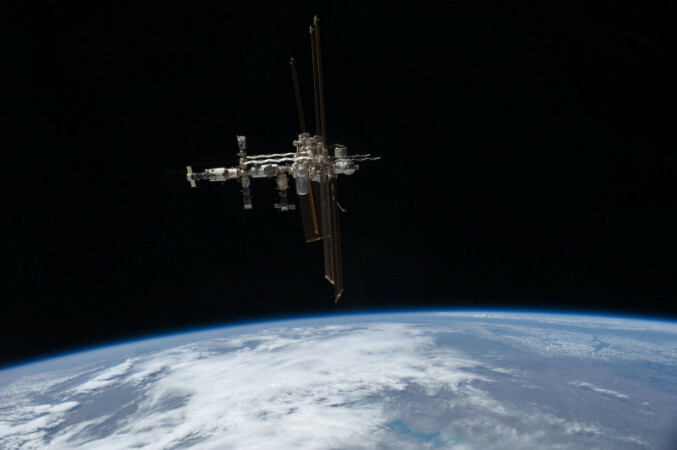 The astronauts Ricky Arnold and Drew Feustel and cosmonaut Oleg Artemyev will blast off in the Soyuz MS-08 spacecraft at 1.44 p.m. for a two-day ride to the ISS, the US space agency said in a blog post. The space travelers will dock to the orbital laboratory's Poisk module on Friday at 3.41 p.m. They will join Expedition 55 Commander Anton Shkaplerov and Flight Engineers Scott Tingle and Norishige Kanai. The Expedition 55 crew has also reconfigured the JEM Airlock in support of an upcoming experiment: Materials on ISS Experiment - Flight Facility (MISSE-FF) payload operations. Feustel and Arnold will also prepare for a March 29 spacewalk while familiarising themselves with space station operations. It will be the 209th spacewalk in support of space station assembly, maintenance and upgrades, the seventh in Feustel's career and the third for Arnold. They will also work to install wireless antennas on the Tranquility module and replace cameras on the Port-1 truss structure.